The start of Spring and eventually Summer means more time for the family to spend at the cottage. Your weekend getaway does not have to be all about beer, BBQs, and pretzels. As the weather gets warmer, the great outdoors becomes more tempting, and that easily translates into FITNESS opportunities for the whole family! Kick off your sandals and go ankle deep into the lake. 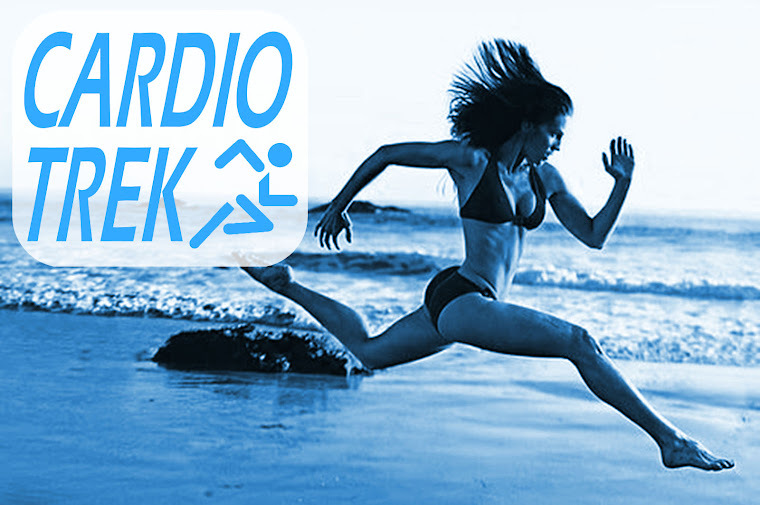 Running with sand and water resistance will add to an already great cardiovascular workout. Frisbee is also a good activity for working on your hand-eye-coordination and agility! 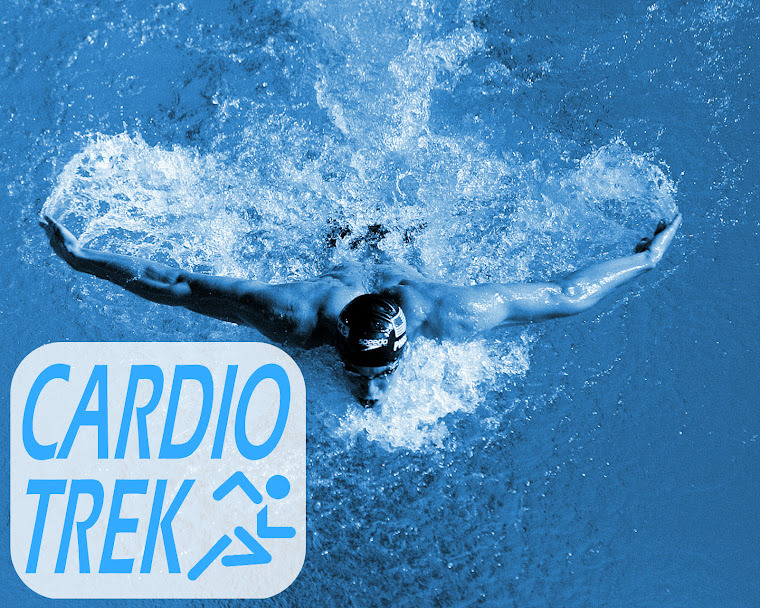 The ultimate cardio and strength exercise, swimming is a no impact and challenging workout that is great for people suffering from sports injuries / back problems. If you're a jogger / runner, go for under water sprints to work on your leg strength / speed. Rent a bicycle or bring your bicycle from home along to the cottage, and spend a day seeing parts of the cottaging community you may not have had the opportunity to discover by car or foot. Make a day of it by packing healthy snacks, and bringing a friend or family members with you. Paddling a canoe is so Canadian, but it can also be hard work. 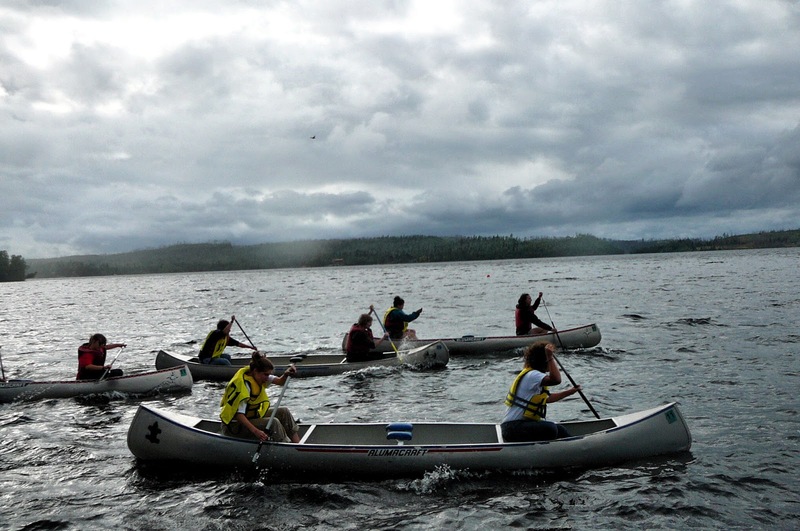 Paddling can be easy if you want go slowly, but for fun you can also have canoe races and give yourself a challenge. 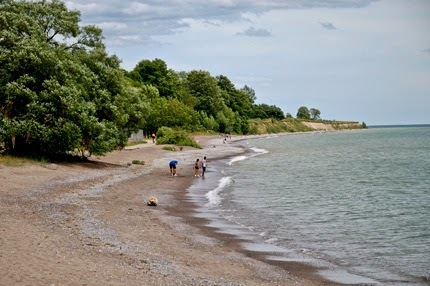 Whether you're building sandcastles, throwing around a football or simply walking the shoreline, being active at the cottage makes the after sunset barbecue and campfire so much more satisfying. Sitting in the sun all day is tiring, and you're bound to get bored, and overdo the junk food. So get up, be active, and make fitness a part of your cottage plan this summer. 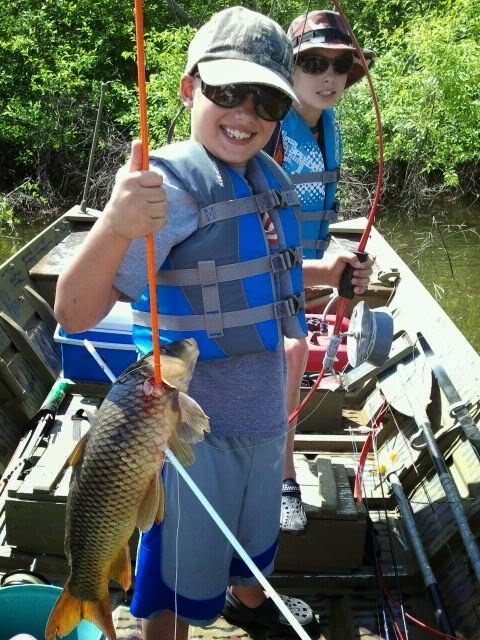 All you need is a fishing license and a bow to try this fun activity. You can get a bowfishing kit from a fishing/hunting store (eg. Bass Pro) or you can make your own bowfishing kit. I recommend you learn how to do archery FIRST before doing bowfishing. If the water is clear and easy to see through snorkeling is a fun activity to try out. For children who have fears of water snorkeling can also be a way to get around their fears and overcome them. Don't forget to take the dog with you. A simple hike into the woods to explore is a great way to exercise, see some beautiful sights and come back with a camera full of memories. So you've lost weight? Congratulations! You've completed half of your goal, losing the weight. Now you need to keep it off. Tip #1. Make lifestyle changes if you want your weight loss to be permanent. Going back to your old routine just isn't going to cut it any more. Tip #2. Drink lots of water regularly. It keeps your body clean of toxins. Avoid caffeine, nicotine products and alcohol as much as you can. When with friends, stick to one drink if possible. Tip #3. If you regain weight at some point don't go on a diet, instead change your eating/exercise habits so that you make permanent changes. Fad diets are temporary band-aid solutions. Never go on a diet with food/a plan you KNOW you cannot eat forever! Tip #4. Take a cooking course. Learning to make more healthy foods at home and expand your knowledge of what you can make and eat will allow you to maintain your diet more easily by having a broader range of healthy food options in your repertoire. Tip #5. Set a caloric intake maintenance range. Your goal now is to maintain your weight, not to continue losing weight or go back to your old ways. Set a range, practice it for a few months and check your results, and once you know that the range works stick with it. After several months it should already be a habit. Tip #6. Avoid dining out. Unless it is a special occasion you should not be dining out. Restaurant food / ordering take-out is a very quick way to break your habits - worse if you get into the habit of eating out regularly. Tip #7. Remember to snack between meals - healthy snacks like fruit, salads, nutty granola bars, etc. This was you won't be overly hungry and binge later. Binging = weight gain. Tip #8. Keep exercising at least twice per week for 30 minutes. Just because you lost all the weight doesn't mean you should stop exercising. Pick your favourite exercises and keep doing them. Tip #9. Get involved in more sports that you enjoy doing. Tip #11. Go outside on dates more often. Regardless of whether you are married or single, dating activities such as picnics, throwing a football around, long walks on the beach - now is your chance to enjoy your new physique. Tip #12. Get a dog and take the dog for walks twice daily. The dog will keep you healthy and it will give you an excuse to go outside more often. Again, congratulations on achieving your weight loss goal! Also I want to note that you should avoid going further and LOSING TOO MUCH WEIGHT. That isn't healthy for you either. 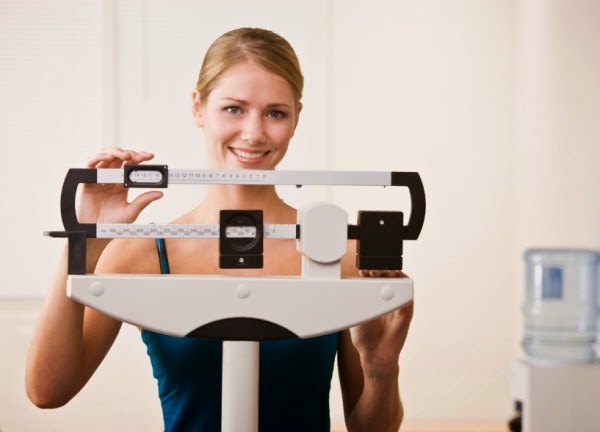 What you want to do is to maintain your ideal healthy weight. Not too much and not too little. Below is an example of what happens when someone becomes too obsessed with losing weight and loses too much. Everyone needs a good nap now and then. Last night I slept really well. And I know why. I set my alarm clock ahead an hour so it went off at 8 AM instead of my normal 7 AM. That extra hour of sleep made a world of difference in my opinion. Now I understand not everyone has the convenience of being able to sleep in an extra hour whenever they want to, being a personal trainer in Toronto most of my clients are not expecting me to meet them for a personal training session until 10 or 11 AM at the earliest. Very rarely do I take on a client who wants a 9 AM workout. But if you do have the convenience of being able to sleep in an extra hour - and you are currently suffering problems sleeping, I strongly recommend getting that extra hour to see if you can reset your biological clock. Technically I didn't even wake to the alarm. I got up at 7:40 feeling well rested (and needing to urinate) and then I showered and I am now feeling the best I have felt in a week at least. I am also a big fan of taking naps / siestas when your schedule permits it. 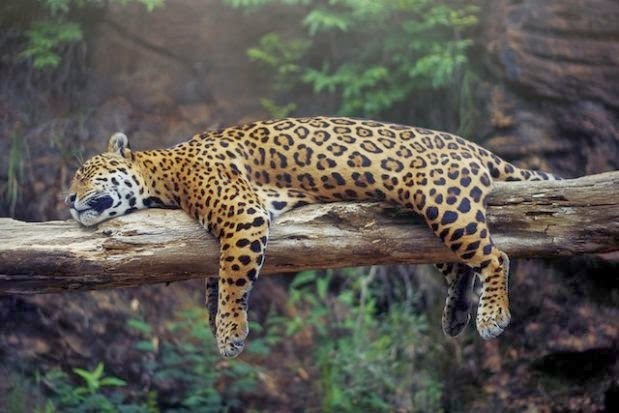 A short 30 to 45 minute nap shortly after lunch is great for boosting your energy levels. Sleep, as scientists will tell you, is extremely important to your overall health. A good night's sleep keeps you from packing on the pounds (lack of sleep causes people to overeat, especially sugary things, in order to boost energy levels), builds extra muscle (you build / regenerate approx. 80% of your muscle tissue while sleeping), and quality sleep boosts various "happy" hormone levels, which act as painkillers, antidepressants, and increase your metabolism levels so you regenerate damaged tissue faster (eg. fights back against cancer, heals injuries). The boosted metabolism even fights back against aging. Thus quality sleep makes you slimmer, stronger, happier, healthier and younger. and you will live a long and healthy life. What is worse is that fatigue causes your body to start producing hormones that blocks your blood from drawing upon fat reserves for energy. This means that when fatigued you can only get energy from food - which means that exercising while fatigued you are drawing upon only food energy and not stored fat energy. So if you want to be burning fat then you really need to be well-rested before you exercise. 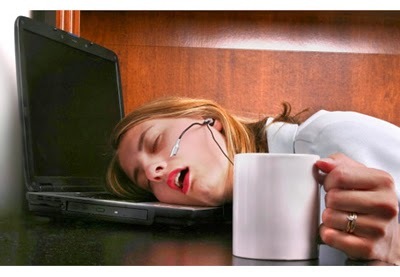 So if you are falling asleep at your desk then clearly you are not getting enough sleep. And if you are trying to lose weight by exercising, then you won't be seeing much results because you will feel fatigued all the time, unenergetic, and exercising without any results. So if you want to see weight loss results, you need good quality sleep. So you tied one on last night and now have a hangover? Well the good news is that there is a hangover cure, and it is a relatively simple cure. Water + Green Vegetables + 1 Hour. Alcohol upsets your body chemistry and makes you dehydrated. 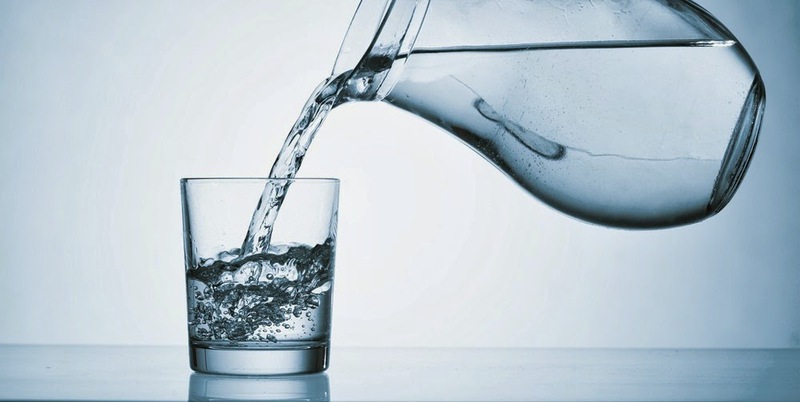 Start by drinking a litre of water to counteract the effects of dehydration. 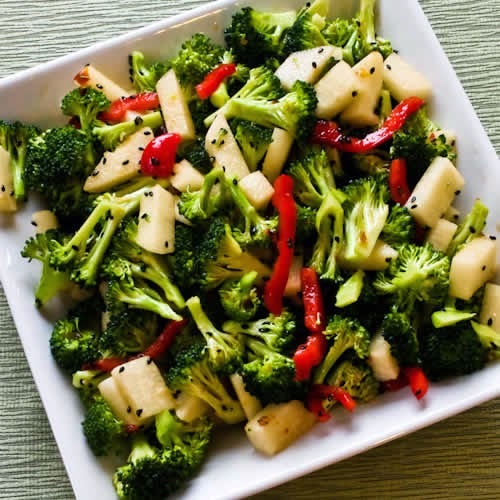 The green vegetables works to detoxify your body and give you some much needed nutrients. You don't have to make it a salad, but making a salad is pretty quick and easy. You could also make a veggie smoothie - which might taste weird, but it will work the same. For best results drink the water and eat green veggies soon after your bout of drinking, before you go to bed. If you go to bed without drinking at least some water you will wake up in the morning rather dehydrated. You don't need to drink massive quantities of water or eat a massive salad. 750 - 1000 ml of water will be enough, and approx. two servings worth of salad will be enough. The last component here is 1 Hour. Within an hour after eating and drinking you will feel dramatically better. Your hangover might not be gone completely, but it will be sharply reduced since you have counteracted the dehydration and toxins in your system. You can achieve similar results by drinking water and eating a large breakfast. The effect will be slower because most breakfast foods don't do much to counteract toxins. Large doses of caffeine doesn't really help as much as people think. Strong coffee for example, the water helps a little but it is offset by the caffeine which also dehydrates you. The caffeine will perk you up however, but it is basically just acting as a pain killer. Thus if you have used a big breakfast plus strong coffee before in the past as a hangover cure, you know it is going to be a slow cure. It will work but if you want faster results plain water and green veggies will rehydrate you and get rid of the toxins faster. Hey Toronto, want to try archery? Well if you want to get a degree of accuracy the best thing you can do is read up on every archery source you can get your hands on before scheduling an archery lesson. The book I recommend the most is "Precision Archery" by Steve Ruis and Claudia Stevenson. But barring that, here is 5 quick tips for getting better accuracy. #1. When in doubt, aim low. Why? Beginners often overshoot the target because they don't have a clue of where to aim. 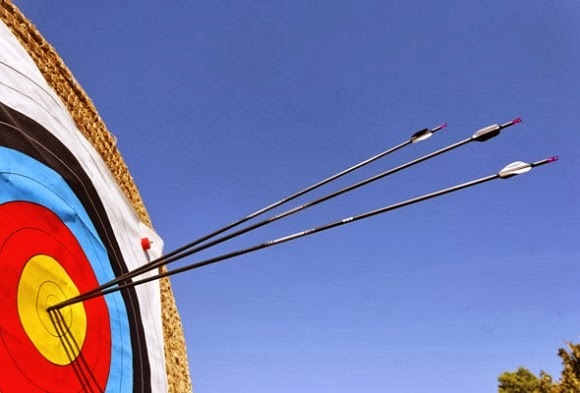 Chances are likely that if you are a beginner you are aiming at a target within 10 or 20 yards away and the arrow will arc up on its way to the target - and not have any chance to arc back down. #2. Pull back to an anchor spot on your face. #3. Stand facing 90 degrees away from the target. And always use the same stance when shooting. 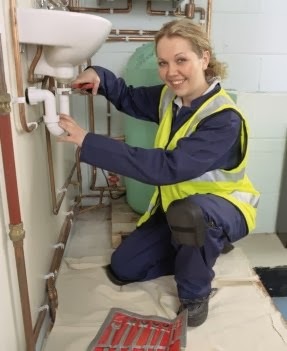 Stand up straight, avoid leaning to the side or backwards away from the bow. 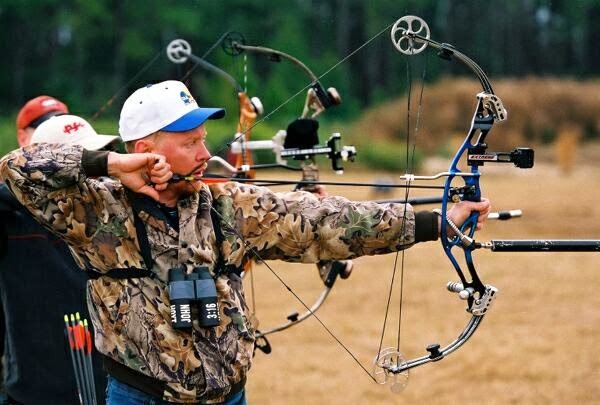 If you lean away from the bow, your arrow will go higher than expected because the angle will be higher up. #4. Breathe into your belly while you aim. Breathing into your chest will raise your shoulders upwards and mess with your ability to aim. You can hold yourself more still if you breathe into your belly. For best results, try doing yogic breathing exercises. This is a more advanced skill, but if you can learn how to hold yourself perfectly still while aiming then you can achieve a greater degree of accuracy. #5. Learn from your mistakes. A person who doesn't learn from their mistakes is doomed to repeat them. 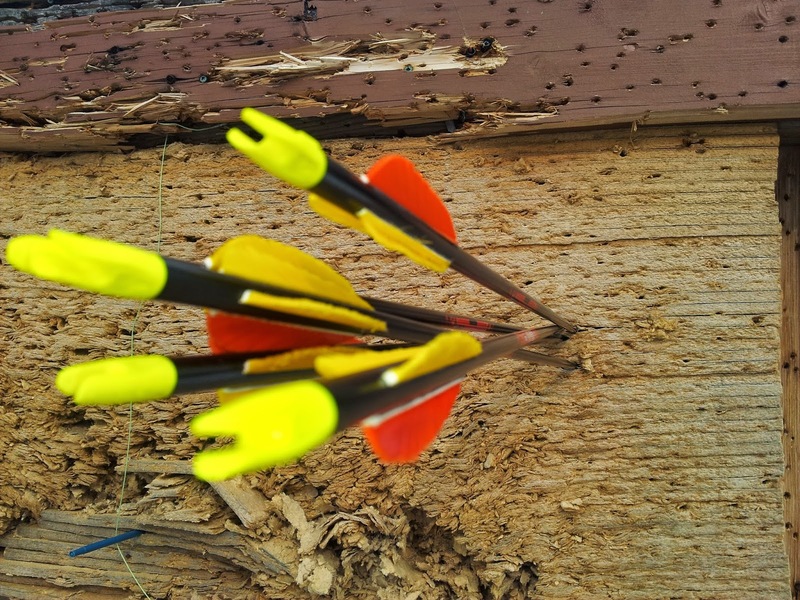 Archery, as a sport of perfectionism, doesn't tolerate mistakes. Thus contemplating what you did wrong, learning over time how you failed (eg. you jerked your arm during the release, you botched the release, you aimed too high, you overcompensated, you gripped the bow too tightly, etc.) will allow you to correct your mistakes by making active efforts to correct your common shooting faults. So, you want to go to archery competitions eh? 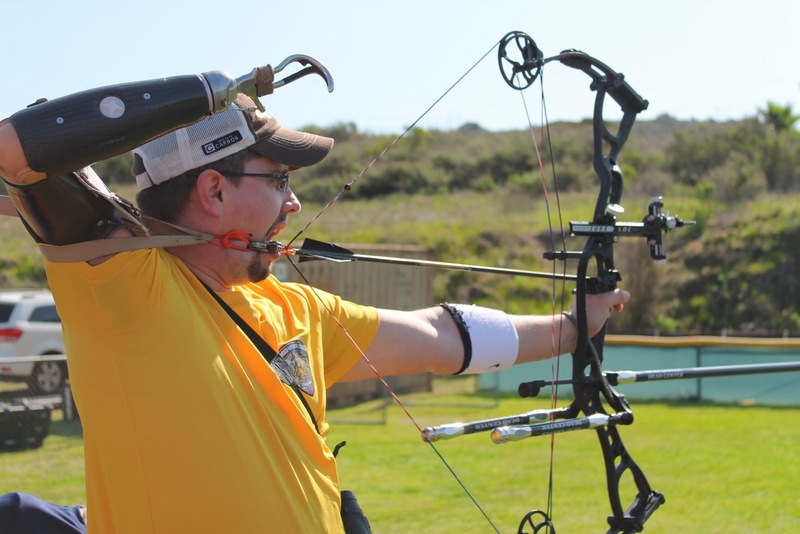 There are plenty of recurve, compound and traditional archery competitions to choose from. Whatever your chosen field of archery you can succeed at it if you are properly motivated and work hard to achieve your success. 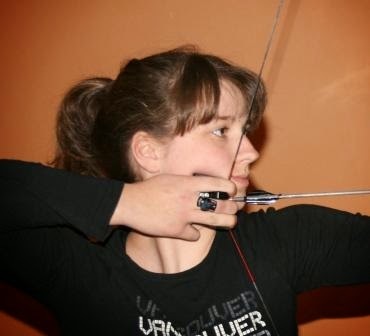 Here is some handy advice on how you can achieve archery success faster by giving yourself a physical and mental edge. #1. Start exercising more often - every day or every 2 days ideally. Focus on a full body routine will build strength, balance, endurance and hone your body from head to toe. Even professional golfers these days now exercise because they have realized it gives them a physical edge in the sport. Gone are the days when overweight golfers like Arnold Palmer could get by in golf without exercising. Today's golfers like Tiger Woods have carefully designed exercise routines to help them get a physical edge. #2. 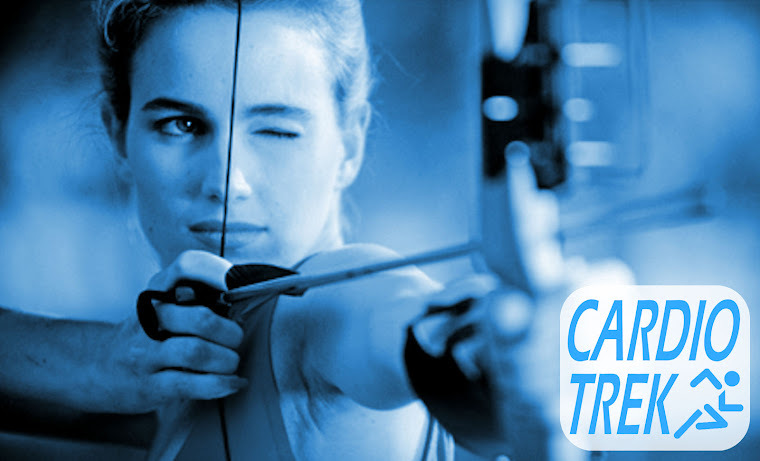 Hire an archery coach / personal trainer. (Hint hint!) An archery instructor will be able to tell you what you are doing wrong and help you to correct your mistakes faster than anything you could do on your own. #3. Healthy diet. If you are going to take archery seriously as a sport then you need to be training and eating like an athlete in any other sport. Eating healthy means a good balanced diet with lots of vitamins, nutrients, minerals and a fair dose of protein. An archer who ignores this aspect of their physical conditioning and does the exercises without adding the extra quality fuel to build stronger muscles will be shooting themselves in the foot metaphorically because they simply weren't getting enough of the building blocks they need to turn their body into a well-oiled machine. #4. Daily or thrice weekly practice. At a bare minimum you should be honing your archery skills three times per week. Every day or every second day. Break days are good to have so your muscles have time to build and recover. #5. Sleep. Your body needs rest in order to build new muscle tissue. Sleep + quality food + strength building exercises = More muscle! #6. Yoga. I cannot stress this enough. Regardless of what you might think of yoga, I swear by it. Yoga gives archers better balance, better physical coordination, better core upper body strength. These are all things archers need. #7. Yogic breathing. Two reasons. First, because yogic breathing helps you to control your breathing while you are shooting. Less shoulder movement = more accuracy. Second, yogic breathing has a calming effect on you and disciplines your mind. This is exceptionally useful during a competition when you may be nervous, stressed or distracted. #8. Seriousness. If you want to get into competitive archery then you need to take the sport seriously and be religious about it. Skipping out on practice, skipping your daily exercises, ignoring your dietary needs... these are all signs you are not taking the sport seriously and you are just doing it out of pride / ambition. #9. Humility. This is something you will learn anyway when you go to archery competitions expecting to win and instead you get metaphorically stomped on by other archers who are way more experienced and better than you are. You are better off going into the competition feeling humble and remind yourself to just try your best. If you do your best then you will never be ashamed of what you do, and if you are humble enough to realize that there is always someone better than you, then you stand a good chance of surviving your first several competitions without having your ego crushed. #10. Perseverance. 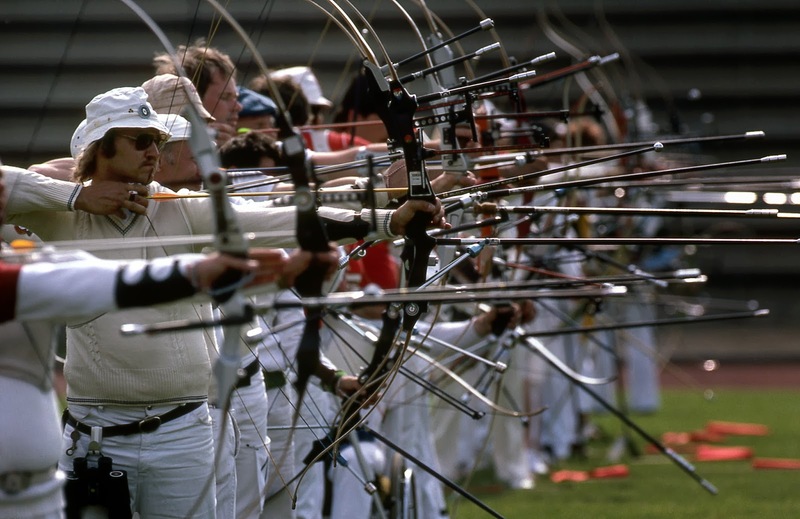 Don't give up on archery competitions just because you don't win the first competition, the second competition or even the 10th competition you go to. When you lose it just means you need to go back and keep practicing. Never give up. Hello. I found your e-mail on Google and I just decided to send a message because I think you may be able to help me. Well, the problem is that I have a wide nose and it makes me feel so insecure, it's the biggest problem in my face. I mean the size of the nose is okay but I do want a slimmer nose. Is that possible with nose exercises? What exercises should I do? Thanks!
' Want a more narrow nose? Lower your chin and mouth and narrow your nose in the process. This uses a different set of muscles inside your nose which will help tighten up and narrow the appearance of your nose. Hey again, I forgot to ask something. Will it make my nose wider? Someone said that it made her/his nose wider after doing the exercise (I read it on the net), and then another person said that it worked for her. I'm really afraid about that because mine is already quite wide and I don't want a wide nose. Sounds like the person was doing a different exercise designed for fixing a crooked nose. It fixes crooked noses, but has a side effect of making a person's nose thicker. 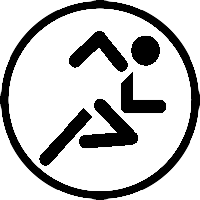 The different exercises produce different results. Basically all you do is smile and try to squish your nose upwards using the muscles within your nose. No hands required. This upward "squinting" of the nose will add more girth to muscles in the sides of the nose and, assuming you do it evenly, both sides of the nose will auto-correct themselves with time until they're both equally muscular. The narrowing exercise builds up specific muscles the narrow the nose, and over time the muscles used for other parts of your nose become weaker (and thinner). Over time is makes your nose more dependent on the muscles that narrow the nose. The other muscles become weaker and thinner due to lack of use. You will never completely get rid of those muscles obviously, you use them regularly when laughing, making facial expressions - but the shape of your nose will change over time due to changing its dependence on specific muscles inside the nose. 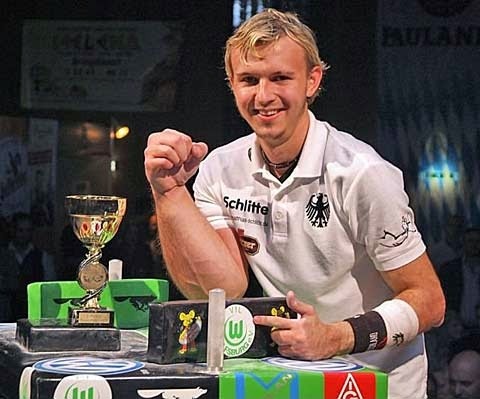 It would be like if you only lifted things using ONLY your triceps and NEVER used your biceps. Over time your biceps would become weaker and thinner and the triceps would become thicker - nobody does that in real life because those arm muscles are used a lot for many things, but that is the general analogy for how it works. It might sound strange but you can get in some good cardio exercise by doing woodworking. The beauty of woodworking is that minus the cost of tools and wood, it is relatively inexpensive. 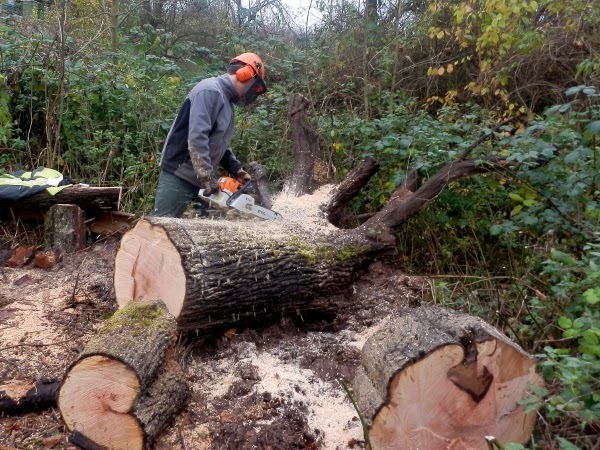 You can make lots of things around the home that you need / will use, and you will burn lots of calories during the process of making them without really noticing that you are burning them - because woodworking is itself fun. All the calorie burns listed below are for an individual who weighs 200 lbs, and a time of 1 hour. Painting or Wallpapering - 186 calories burned. Plumbing or Electrical Work - 228 calories burned. General Carpentry - 286 calories burned. General Painting - 319 calories burned. Furniture Carpentry - 319 calories burned. Scraping, Washing, Waxing Boat, Car, Etc - 319 calories burned. Painting, Outside Home - 364 calories burned. Construction, Outdoors Remodeling - 416 calories burned. Building a Fence or Roofing - 455 calories burned. Paving New Driveway - 455 calories burned. Using Heavy Power Tools (Jackhammers, Chainsaws, Etc) - 455 calories burned. Sawing Hardwood with a Hand Saw - 592 calories burned. Pickaxe, Shovel, Etc - 637 calories burned. Walking while carrying anything just over 100 lbs in weight - 683 calories burned. And this is just a sample of the many cardio / weight lifting exercises a person can do while doing woodworking. REMEMBER TO OBSERVE SAFETY PRECAUTIONS AND USE SAFETY EQUIPMENT TO PROTECT YOUR HANDS, EYES AND EARS. ESPECIALLY WHEN OPERATING HEAVY MACHINERY WHICH CAN CAUSE HEARING LOSS. "I make sure I do my best, because it is always worth it, no matter what you want to achieve in life!" - Andreia Brazier. "It's easier to wake up early and work out than it is to look in the mirror each day and not like what you see." - Jayne Cox. "Wanting to be someone else is a waste of the person you are." - Marilyn Monroe. "It's not about perfect. It's about effort. And when you bring that effort every single day, that's where transformation happens. That's how change occurs." - Jillian Michaels. "Anyone can be cool, but awesome takes practice." - Lorraine Peterson. "If women quit doing things just because they were hard they would never accomplish anything. Instead women accomplish great things every day. So why not you?" - Suzanne MacNevin. "Every woman is the master of her own destiny. It is just a matter of taking control of it." - Suzanne MacNevin. "Don't let men tell you what you can and cannot do. If you want to lift weights, then lift weights. If you want to run a marathon, then run a marathon. If you want to do your best in a particular sport, then do your best. Don't let naysayers hold you back from doing what you want to do." - Suzanne MacNevin. "Fat is just extra baggage that women carry around with them. It is like having an extra large purse and not using what is in there. This is why I carry a man's wallet and a pocket knife. The same reason why I exercise daily. Because I don't want the extra baggage slowing me down." - Suzanne MacNevin. "You change yourself every day. Why not change yourself for the better?" - Suzanne MacNevin.